By Bruce Pearson. Band Methods. Standard of Excellence. Level: Book C,3. Music Book. Published by Neil A. Kjos Music Company. 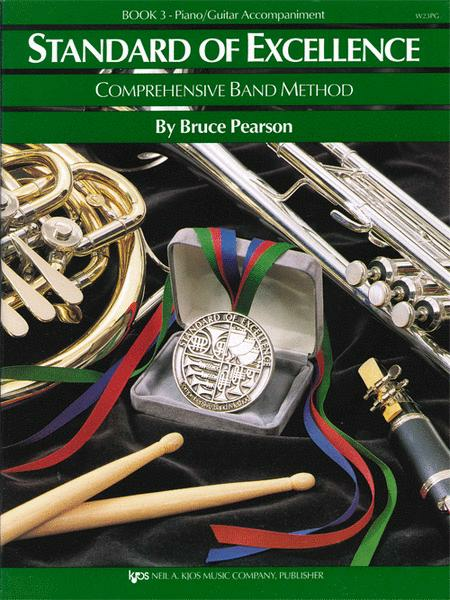 The Standard of Excellence Comprehensive Band Method Books combine a strong performance-centered approach with music theory, music history, ear training, listening composition, improvisation, and interdisciplinary and multicultural studies. The result is the most complete band method available anywhere. Full color drawings and color-coding of important text and music motivate and inform. Three starting systems help ensure positive results in any beginning situation. FOR ... ONLY exercises (i.e. 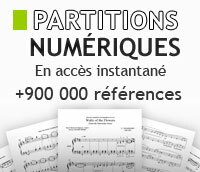 FOR FLUTES ONLY) offer idiomatic solutions to the unique challenges of each instrument. Excellerators (advanced supplemental exercises) reinforce and enrich performance basics. Achievement Lines and GO FOR EXCELLENCE! test lines ensure objective assessment of students' accomplishments. A built-in reward system motivates students and encourages musical growth. Expanded 48 page part books (instead of the usual 32 pages) provide added reinforcement of musical skills. 600-plus page full Conductor Scores contain Objectives for every line of music, Director tips, extended reference articles, duplicable worksheets and quizzes, and theory, listening, composing, improvisation, geography, foreign language, history, and other interdisciplinary Activities for Excellence. By Bruce Pearson. Band Methods. Standard of Excellence. Level: Book A,1. Music Book. Published by Neil A. Kjos Music Company. By Bruce Pearson. Band Methods. Standard of Excellence. Level: Book B,2. Music Book. Published by Neil A. Kjos Music Company. By Bruce Pearson. Edited by Chuck Elledge. Band Methods. Standard of Excellence. Level: Grade 1-2. Music Book. Published by Neil A. Kjos Music Company. By Bruce Pearson. Edited by Barrie Gott. Band Methods. Standard of Excellence. Level: Book A,1. Music Book. Published by Neil A. Kjos Music Company. By Dean Sorenson. For Viola. Band Methods. Standard of Excellence Jazz Ensemble Method. Level: Book A,1. Music Book. Published by Neil A. Kjos Music Company. By Samuel Applebaum. For 2 Cellos. String Orchestra Method/Supplement. Book. 32 pages. Published by Alfred Publishing. By Samuel Applebaum. For 2 Violas. String Orchestra Method/Supplement. Book. 32 pages. Published by Alfred Publishing. By Dean Sorenson. band method. Level: Book A,1. Music book. Published by Neil A. Kjos Music Company.